Gold as a safe haven instrument is losing its appeal globally after investors and speculators switched positions in favour of the US currency. 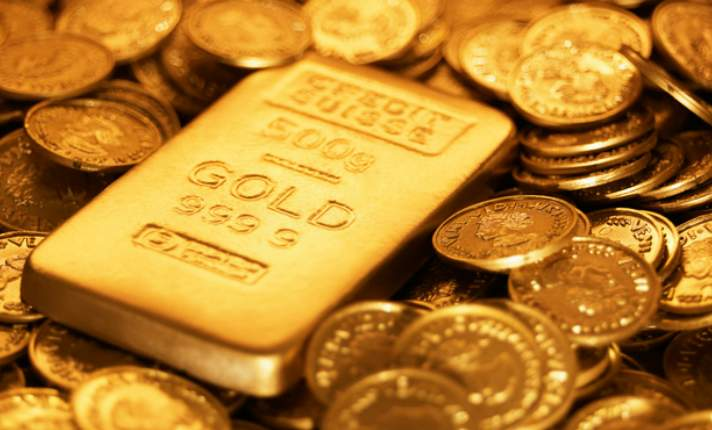 NEW DELHI: Gold prices today followed the global trend by sliding Rs 250 to Rs 28,900 per 10 grams as a strong dollar dented the precious metal's demand amid a dwindling interest from local jewellers. Silver also slipped below the Rs 38,000-level by falling Rs 800 to Rs 37,400 per kg due to reduced offtake by industrial units and coin makers. Gold as a safe haven instrument lost its appeal globally after investors and speculators switched positions in favour of the US currency. Besides, a fall in demand from local jewellers pushed down the metal prices even more. Globally, gold fell by 1.04 per cent to USD 1,212.20 an ounce and silver by 2.84 per cent to USD 15.57 in New York yesterday. In the national capital, gold of 99.9 per cent and 99.5 per cent purity slumped by Rs 250 each to Rs 28,900 and Rs 28,750 per 10 grams, respectively. It had gained Rs 220 yesterday. Sovereign, however, remained unchanged at Rs 24,400 per piece of eight grams. Following gold, silver ready dropped by Rs 800 to Rs 37,400 per kg and weekly-based delivery by Rs 920 to Rs 36,230 per kg. Silver coins too plunged by Rs 1,000 to Rs 71,000 for buying and Rs 72,000 for selling of 100 pieces.